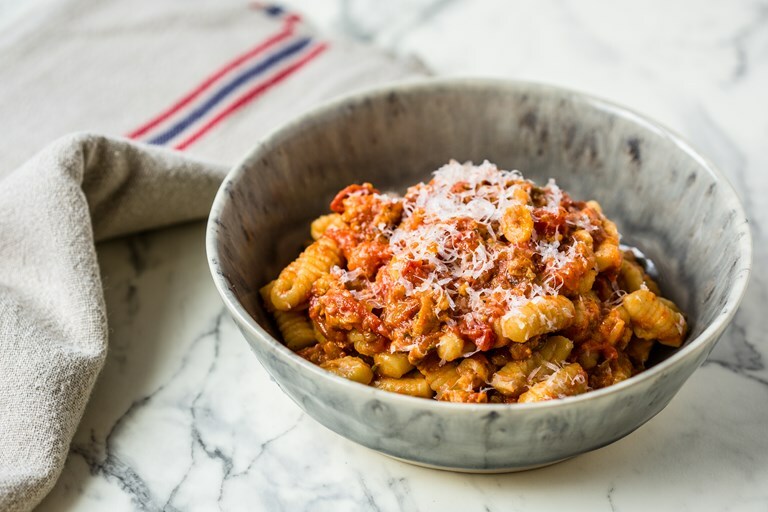 This malloreddus recipe is served with a Campidanese sausage and fennel ragù – the perfect sauce to nestle into all the tiny ridges of this classic Sardinian gnochetti. 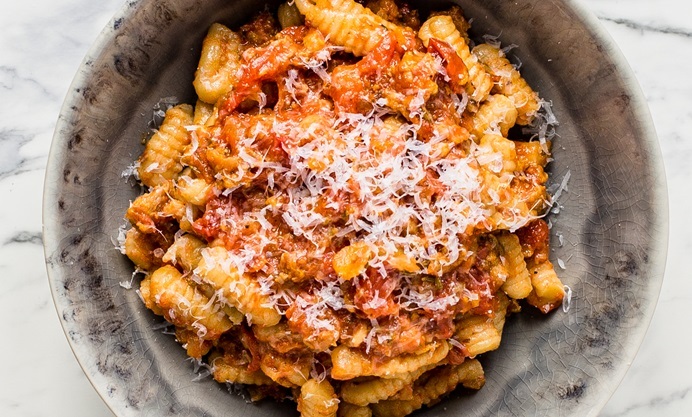 Malloreddus are a common sight around Sardinia, and are as pleasing on the eye as they are on the palate. 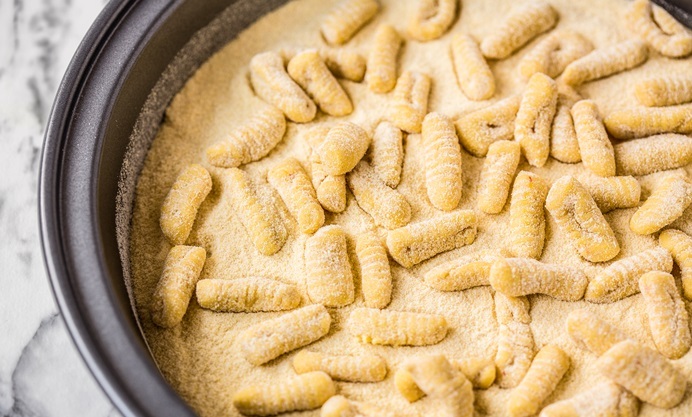 Although they look like traditional gnocchi, malloreddus are made with a simple mixture of semolina, water and saffron, a kind of happy medium between gnocchi and pasta.